Cisco’s line of UBR7200 Universal Broadband Routers are service-focused communications-grade CMTS that put a premium on scalability, investment protection and support and carrier-class reliability. When you select a used Cisco UBR7200 router from Worldwide Supply, you’ll boost your network with a fully functional combination of a CMTS with an advanced router. Pre-owned Cisco UBR7200 routers also enable your network to grow at a significantly reduced cost compared to buying new generation equipment. For your next used Cisco UBR7200 series router and other end-of-life Cisco products, turn to Worldwide Supply for savings of up to 80% off original OEM pricing. 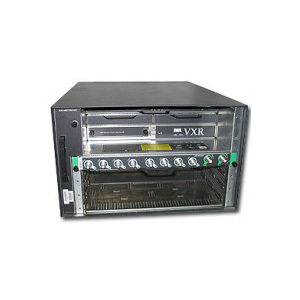 Select a used Cisco UBR7200 series router to maintain your network’s reliability. Expand your support with up to 10,000 subscribers per chassis, up to 4 line card slots, 2 part adaptors, and a clock card slot for VoIP. Many models also offer port expansion flexibility with multi-service deployment options. Scale to 5,000 tunnels per chassis and deliver media interworking and many other services your network requires. At Worldwide Supply, you can expand your network with routers, bundles, chassis spares, processors, modules, accessories, power supplies and I/O controllers. We have the largest selection of used Cisco networking equipment in the industry. Ask about our new NetGuard multi-vendor service and support program that operates as an alternative to the Cisco SMARTnet. Contact us online or by phone at 888.328.2266 to learn more. Request a quote on Cisco UBR7200 Series Routers by adding products below to your quote cart.